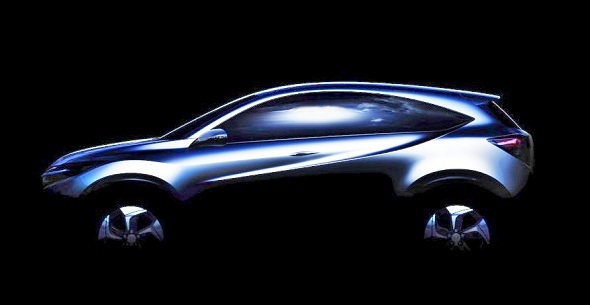 Honda is planning to unveil a new compact SUV at the Detroit Motor Show that will be based on the Honda Jazz platform. This concept SUV has been on the drawing boards for a while with an earlier rendition also showcased at the Beijing Motor Show in 2010, which has drawn a lot of interest. The company has just released a teaser image of what it will look like, and one can see the similarities with the earlier concept. The Honda Jazz itself is due for a makeover and is getting a new platform next year. 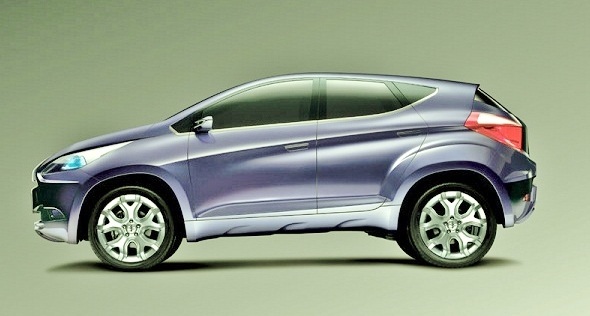 This concept compact SUV will be based on that Honda Jazz platform. The Jazz is one of the roomiest premium hatchbacks in India, with plenty of interior space, good ride and handling and a peppy petrol engine. Unfortunately, it sells in limited numbers because Honda can’t make enough of them in India, as kits are imported from Thailand. The car is also slightly expensive compared to its competitors. Honda earlier also showcased a Brio-based MPV concept at the Beijing Auto show, which will also likely go into production in the next two years and is well suited to markets like India – given the demand for compact SUVs and MPVs, especially those that can seat seven. We only wish Honda’s plans to launch these products were a little faster.